Hehe, yep I see it now. That what you call a total Captain Obvious moment right? (Captain Obvious for Capt Brown)LOL. I wasn’t sure to be honest. Wanted to confirm before I post something thoughtless and someone has to correct me. The community can be pretty savvy when it comes to aviation knowledge, so I’m always learning new things. That’s the best way to do it! If you are not sure try to find out what’s correct or not! 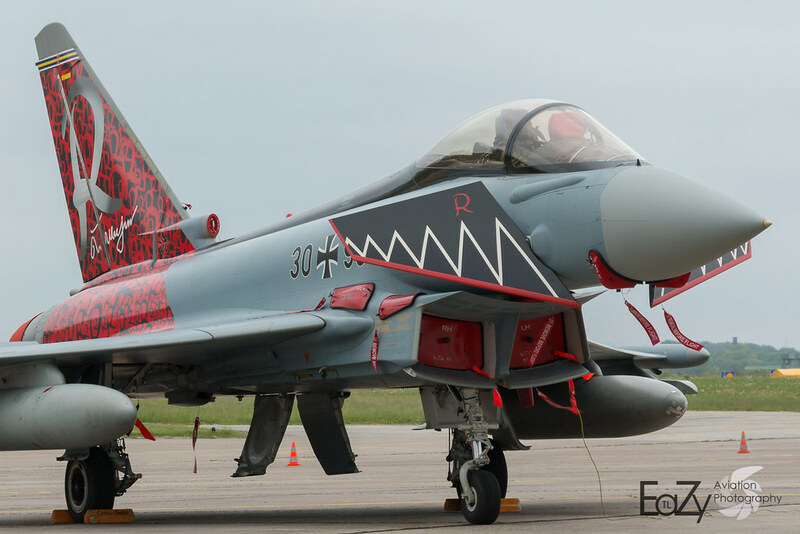 BTW found this awesome video of The Eurofighter in the Ghost Tiger livery performing a demo flight at the ILA in Berlin earlier this year. Here, here! These are also hugely important to the RAF, as the main fighter jets. Look no further thwn GAF for the skilled pilots, we have many skilled pilots and a few in demo teams also !! @Scott_Ellis_Paddon So what else should I call it? I second that!! GAF 58th! Wow!! that is a really slick livery. Red is always a great cooler on fighters. That should be on the list. If the Eurofighter does get added there should be definitely the basket type of aerial refueling be added. I do not know if the KC-10 can be equipped with it but I do know there is the KC130 wich does use those type of aerial refueling! True that we don’t currently need it, but It would be awesome to have the Stratotanker. However it wouldn’t be only the Eurofighter that requires the basket, but also some variants of the C-130’s, the F-14 and F-18 (which has been confirmed will eventually be reworked).